The jockeying ahead of a vote at the Federal Communications Commission on net neutrality is heating up — and now it’s pitting big cable conglomerates against indie entertainers. On Tuesday, two groups released dueling letters to FCC Chairman Tom Wheeler on his draft plan for the future of the Internet. On one side: executives from broadband providers like AT&T, Cablevision, Comcast, Cox, Time Warner, and Verizon. On the other: a rag-tag coalition of songwriters, actors and filmmakers. What happens to the Internet will shape what happens to music, along with every other aspect of culture and free speech. A reported plan that would change the way cable and telephone companies can charge for online content goes to a crucial vote at the Federal Communications Commission on Thursday, May 15. The proposal, which — according to The Wall Street Journal — would allow the likes of Comcast and Time Warner Cable to demand extra fees from websites for faster download speeds, has already faced so much public backlash that the Journal now reports FCC head Tom Wheeler has tweaked the plan in hopes of getting it approved. Today, the<Federal Communications Commission voted to bring forward a Notice of Proposed Rulemaking on net neutrality—a process meant to preserve an open and accessible Internet. FCCCommissioners voted 3-2 in favor of opening a 120-day comment period in which the public is invited to weigh in on the proposed rules. The proposal, which had been previously amended in the face of unprecedented response from creators and the public, asks questions about the best way to prevent Internet Service Providers from picking winners and losers online. Today, the Federal Communications Commission voted to bring forward a Notice of Proposed Rulemaking on net neutrality—a process meant to preserve an open and accessible Internet. FCC Commissioners voted 3-2 in favor of opening a 120-day comment period in which the public is invited to weigh in on the proposed rules. The Future of Music Coalition and Free Press have organized a letter to encourage FCC chairman Tom Wheeler to uphold net neutrality. The letter argues that new rules proposed by Wheeler would favor corporations like AT&T, Comcast, and Verizon over individual artists and creators. The letter was signed by a number of musicians, including Michael Stipe, Jeff Mangum, Fugazi, tUnE-yArDs, Neko Case, Roger Waters, Eddie Vedder, Fred Armisen, Kimya Dawson, Tom Morello, Clap Your Hands Say Yeah’s Alec Ounsworth, Mirah, YACHT, the Postal Service’s Jimmy Tamborello, Kronos Quartet, and many others. When FCC Chairman Tom Wheeler signaled his plans to introduce a new set of rules that fell far short of real net neutrality, he may not have anticipated the reaction that was to come. Since then the internet has erupted in widespread and passionate public outcry, generating tens of thousands of emails & phone calls. Protestors have encamped in front of the FCC building for six days straight. Musicians, actors, comedians and other creative professionals are raising their voices. The independent label community (represented by the American Association of Independent Music) has once again come out swinging in favor of protecting the online playing field, joining a broad array of activists, organizations and companies. 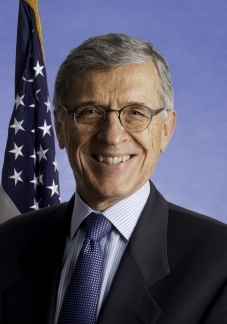 WASHINGTON, DC—On Monday, May 12, 2014, dozens of creators came together on a letter to Tom Wheeler, Chairman of the Federal Communications Commission, urging the agency to do more to prevent discrimination against lawful content by Internet Service Providers (ISPs). Wheeler’s current proposal—to be considered by the Commission at a meeting on Thursday, May 15—reportedly allows for a “fast lane” that would disadvantage creators, innovators and entrepreneurs who depend on a level online playing field.